Jerry Teplitz Enterprises, Inc. only collects personal information when you request our services and only uses the information collected to provide those services for you. If you choose to make a purchase, you will be asked to provide contact information (such as your name & shipping address) and financial information (such as your credit card number & expiration date). 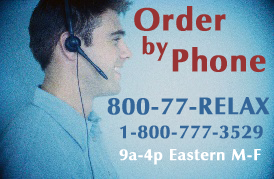 This information is used for billing purposes and to process your order. Jerry Teplitz Enterprises, Inc handles all of this data with the utmost confidentiality. All ordering is provided by a VeriSign Secure Server transaction. Any personal information provided will not be traded, rented, sold or otherwise shared with anyone outside of Jerry Teplitz Enterprises, Inc , or used for reasons beyond those contemplated in this statement. From time to time, we may engage third parties to process your information on our behalf; however, none of Jerry Teplitz Enterprises, Inc affiliates (such as our credit card company) have permission to retain, share, store or use personal information for any reason other than providing the requested service.